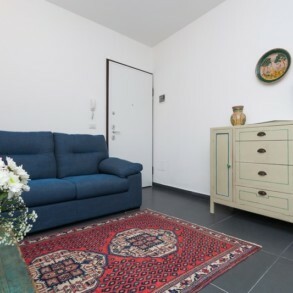 The apartment Pomelia is located on the third floor (the building has an elevator). 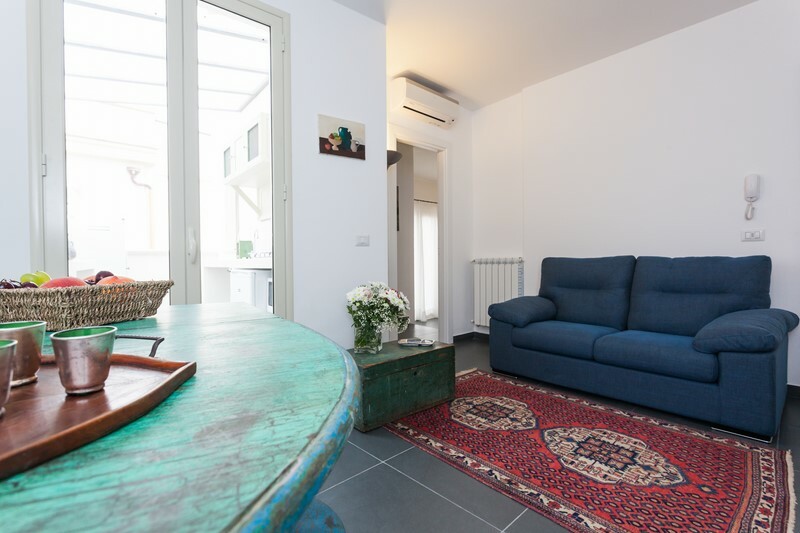 It features an elegant and spacious living room with a balcony and a sofa-bed, a kitchen with balcony, a comfortable bathroom with shower. 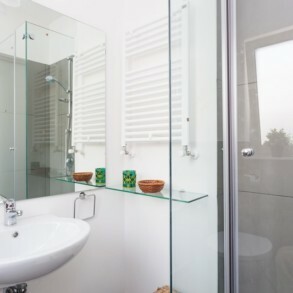 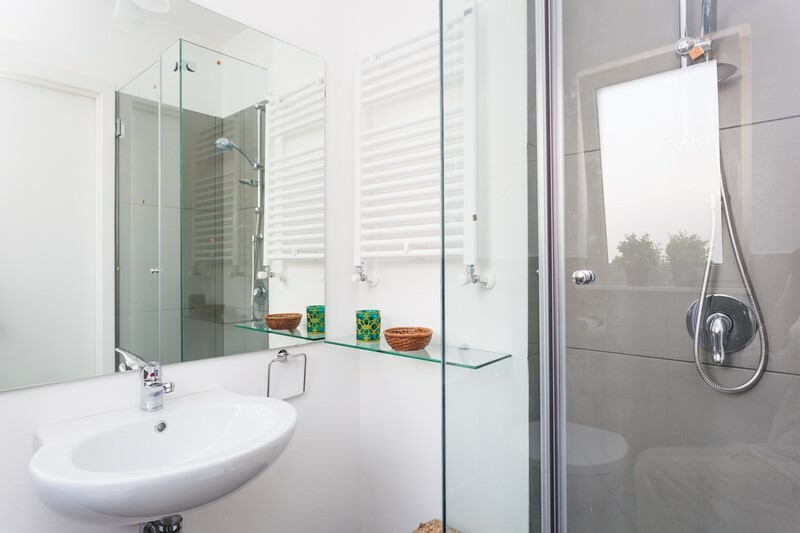 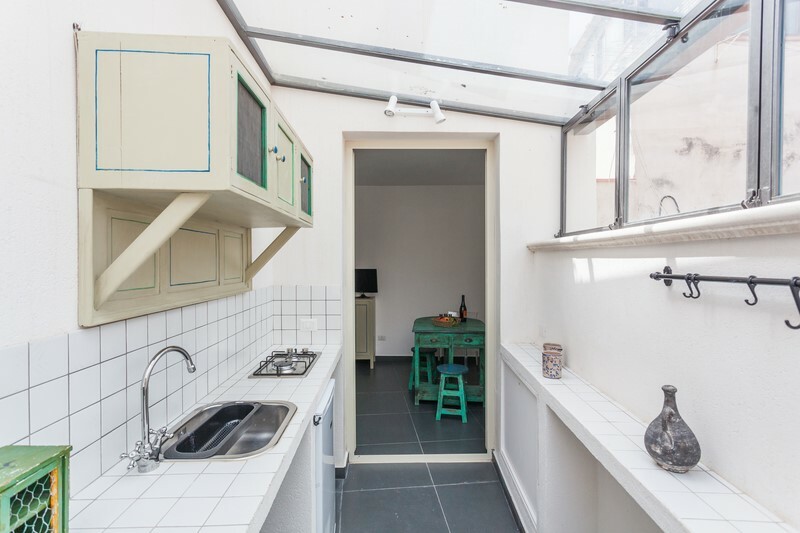 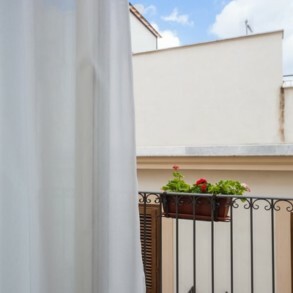 Spacious double bedroom with a panoramic balcony. 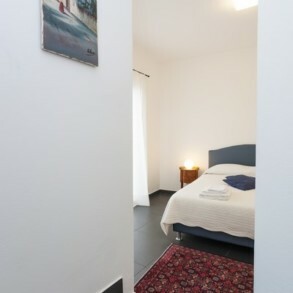 The apartment is air conditioned and has WI-FI. 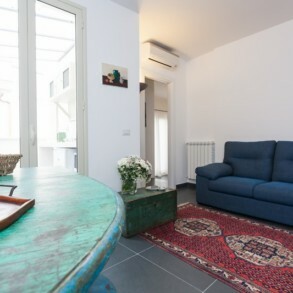 There is a laundry on the ground floor. 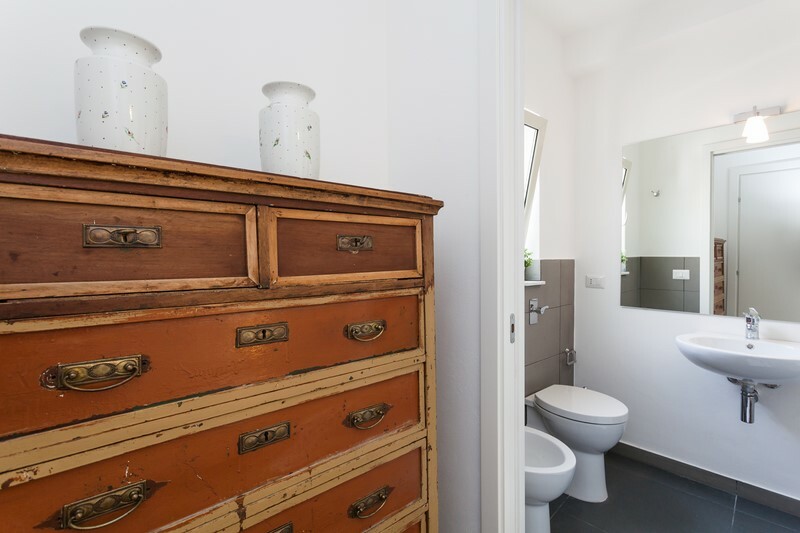 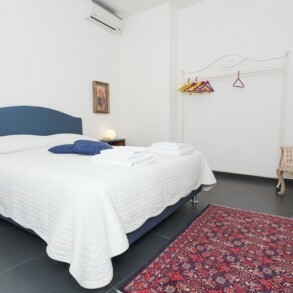 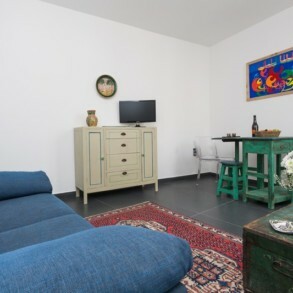 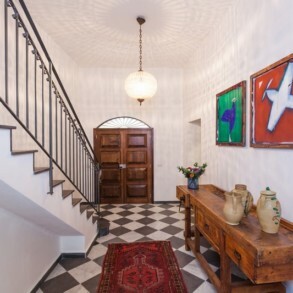 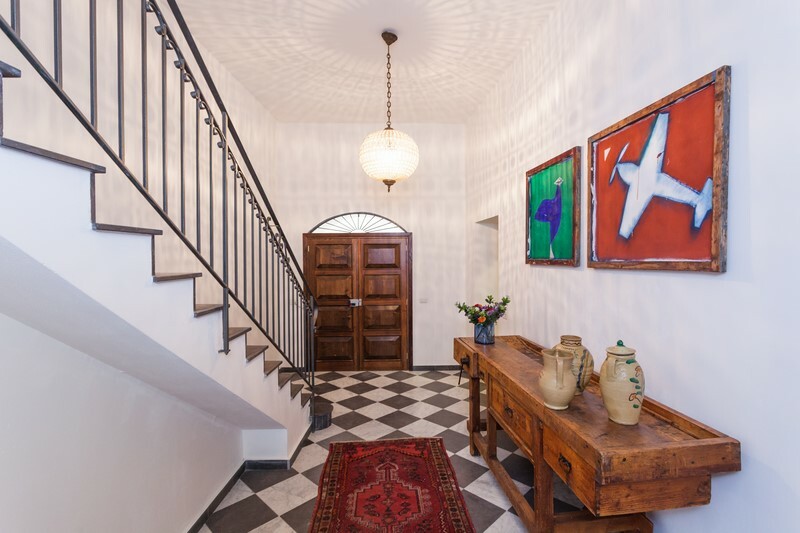 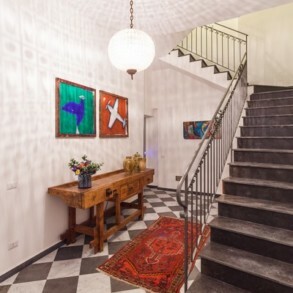 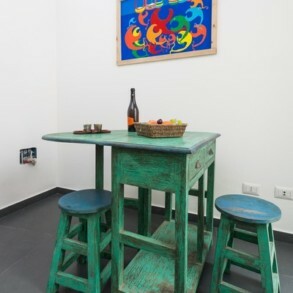 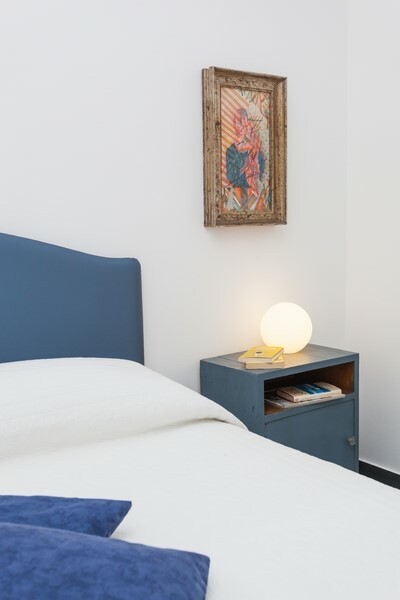 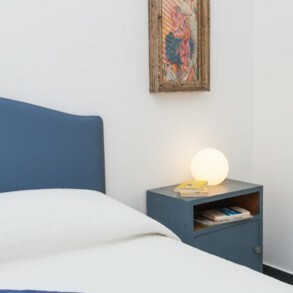 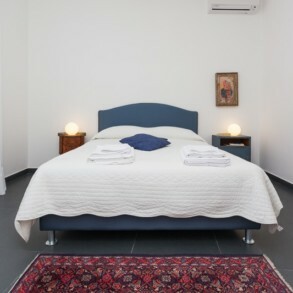 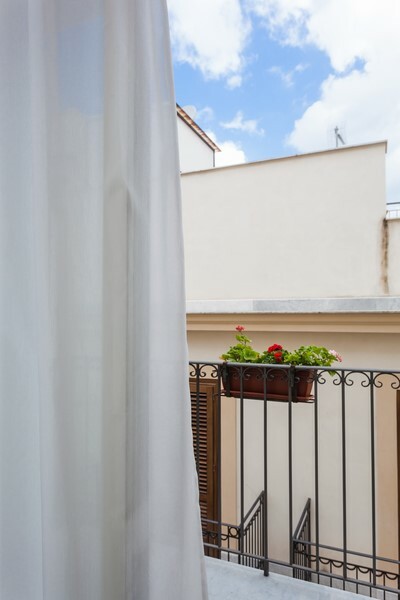 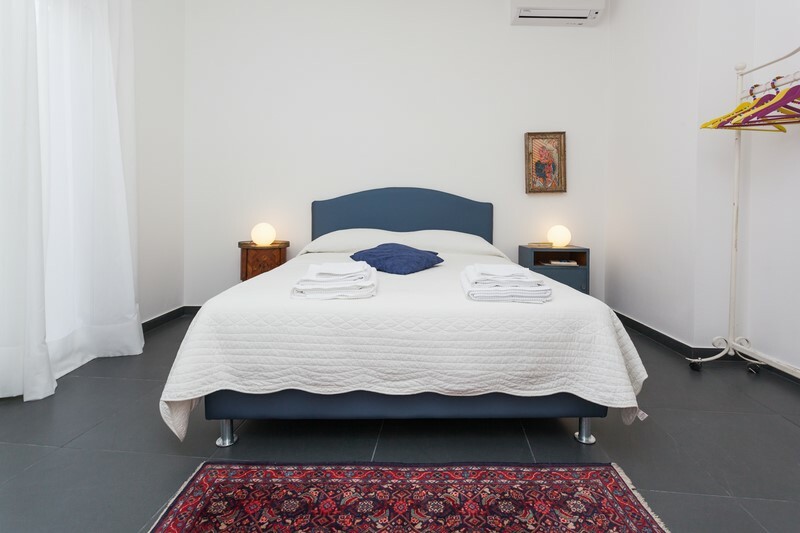 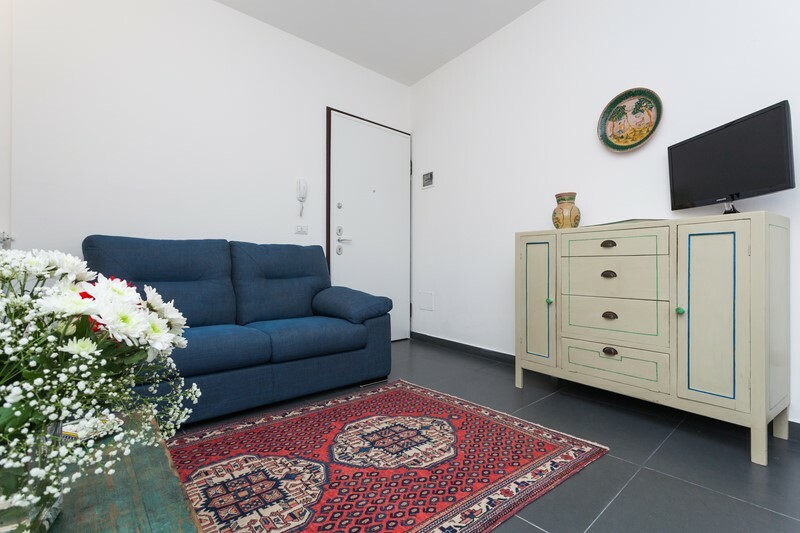 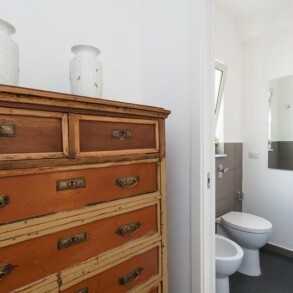 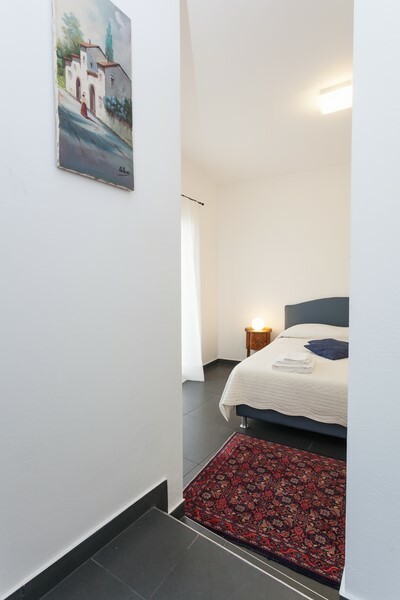 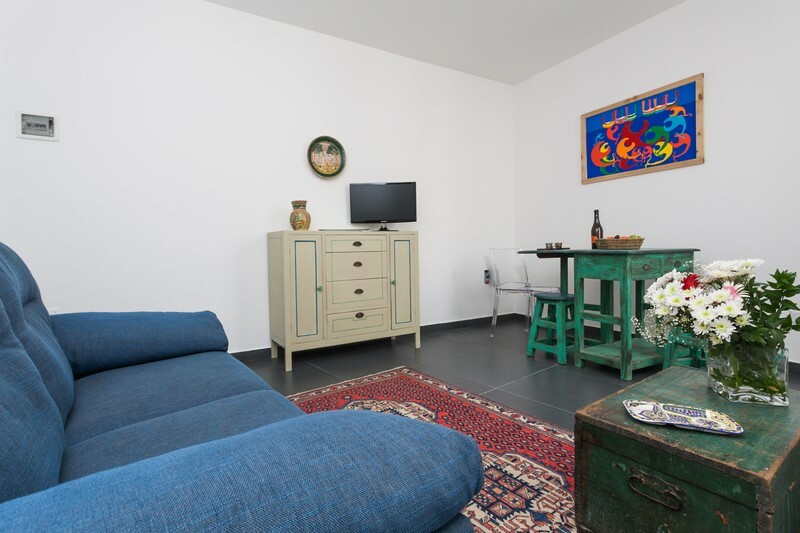 The apartments Pomelia, Zagara, Ulivo, Bouganville and Gelsomino offers the comforts of a boutique-hotel and the warm hospitality of a real home in the historical centre of Palermo. 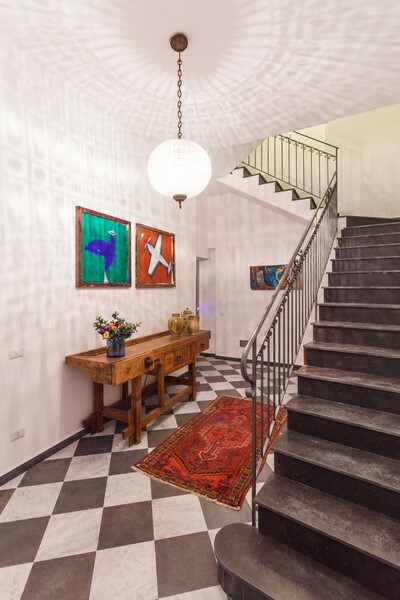 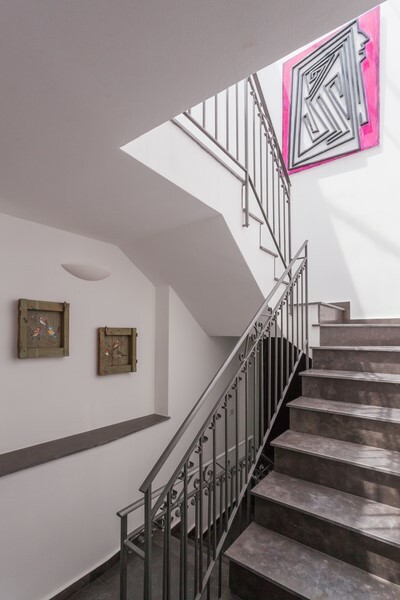 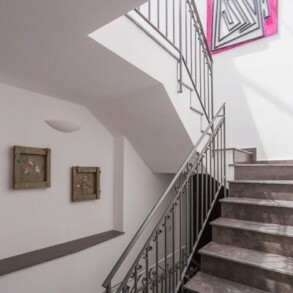 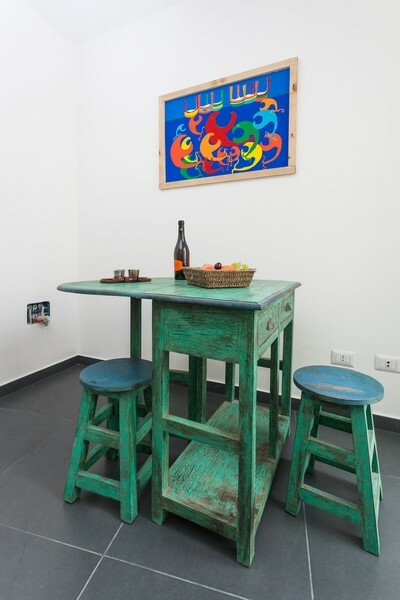 The apartments were renewed in 2014 and what sets them apart is their peculiar mix of top quality finishings with contemporary design: an elegant match of Sicilian Art Nouveau furniture from the 1800s and pieces of modern and industrial design. 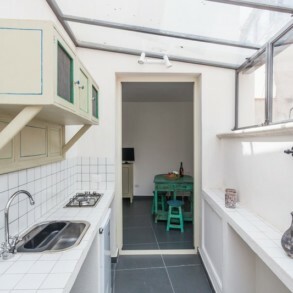 The central station is only ten minutes by foot. 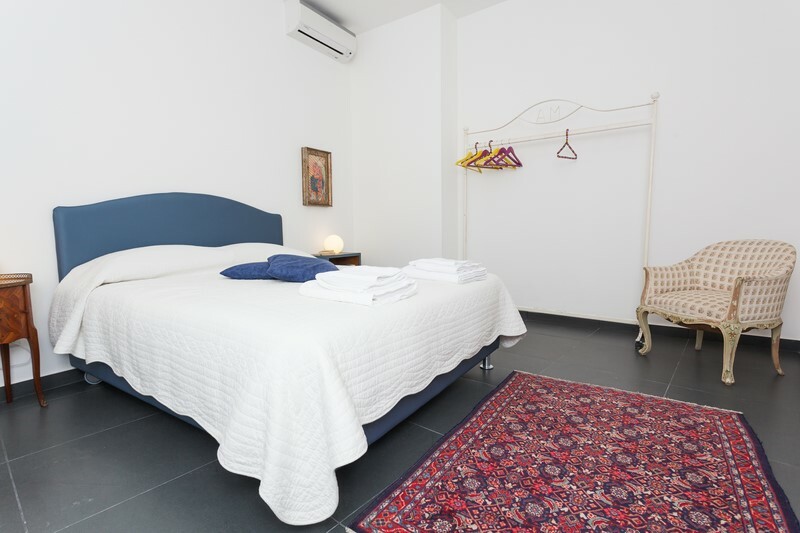 Even if located in the heart of the city centre, you will enjoy peace and quiet in this typical Sicilian quartes, far from the infamous traffic of Palermo.